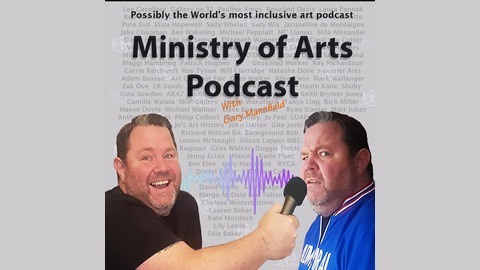 Reformed Prisoner, turned Artist & Curator Gary Mansfield talks to emerging, established or world renowned artists each week in his quite unique manner. Confirmed artists include: JakeChapman, GaryHume, AbigailLane, DavidShrigley, MarkTitchner & MarkWallinger. 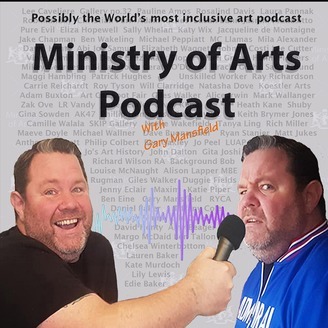 To see the entire line-up of artists go to: http://www.mizogart.com Feel free to contact Gary with any queries, comments etc: email: podcast@mizogArt.com All Social Media: @mizogart To find out more on Gary Mansfield go to: http://www.garymansfield.co.uk. Although trained as a painter, Livvy Kemp produces large-scale, highly detailed landscapes [generally] using fine nibbed pens. Livvy's vast landscapes are a mixture of study, memory and fiction culminating in a beautifully tight and complex web of linear ink.